Jack Aitken has been announced as Renault's new reserve driver for the 2018 season, with Artem Markelov joining in a test and development role. 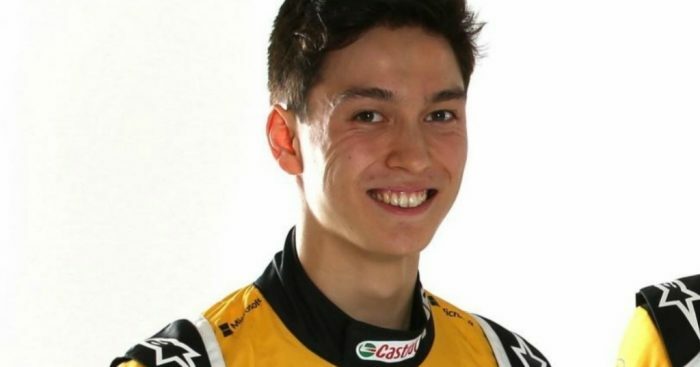 Aitken, who joined Renault's academy in 2016 and finished runner-up to Mercedes' young rising star George Russell in F3 last season, takes the spot last occupied by Sergey Sirotkin, who joined Williams in January. "It feels amazing to take up the role as third and reserve driver,” said Aitken. "It hasn’t quite processed yet, but I’m going to step up my involvement with the team quite a lot. "Over the first Barcelona test it will start to feel real and sink in a little bit more." Last season's F2 runner-up Artem Markelov also joins the team. "We are still in the process of finalising my 2018 programme,” said Markelov, who will stay with Russian Time in F2 this season. “It will be a season full of watching and learning and when the time comes to drive the Formula 1 car, I’ll be prepared. “I will also help the team at the factory with simulator work to accelerate development of the Renault R.S.18.